Even if you’ve been renting for your entire life, chances are you’ve never really explored renters insurance. Renters insurance is thought to be unnecessary, an expense that doesn’t do much for the average renter. However, if an emergency strikes, renters’ insurance could save you from huge losses. There are a lot of misconceptions surrounding renters’ insurance – but we’re here to dispel the myths and help you understand how renters’ insurance can put your mind at ease. Why Does Renters’ Insurance Matter? Renters’ insurance is designed for those who rent. If you’re a tenant in a property owned by another individual or business, renters’ insurance protects your belongings and your property. 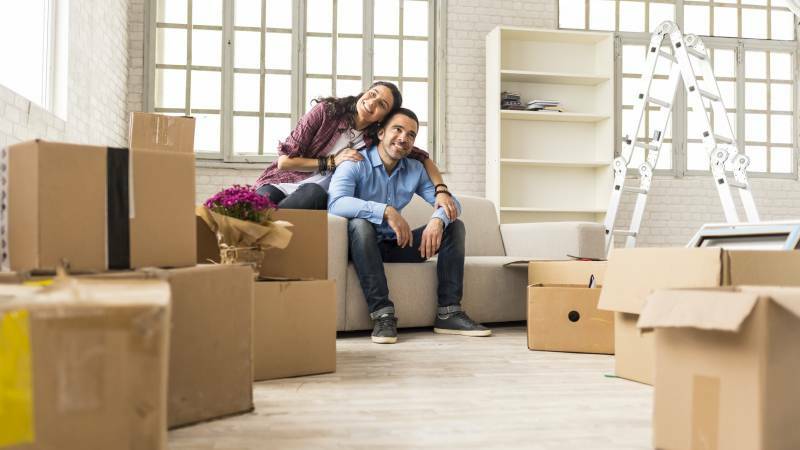 Renters’ insurance can be purchased from most insurance brokers and provides occupants of a rented space with protection in the event of an emergency or damage to the property. Renters insurance is often mandated in your lease, but even if it isn’t, it’s a good idea to purchase it. The average cost of renters insurance in the United States, ValuePenguin notes, is $187 per year – or only $15.58 per month! There are several reasons people don’t immediately purchase renters’ insurance. If you’ve never checked out the price, you may equate it to homeowners insurance, which is substantially more expensive. Many people also mistakenly believe they’re covered by their landlord’s insurance. However, your landlord’s insurance only covers the building itself and the landlord’s personal liability. It doesn’t cover your possessions, your individual liability in the event of an accident, or any expenses if you’re forced to vacate. Many people don’t buy renters’ insurance because they underestimate the value of their possessions. They imagine it’ll just be easier to replace things that are stolen or damaged in a break-in or emergency. While laptops, phones, and jewelry are obviously covered under renters insurance, the rest of your belongings are too – including your couch, bedframe, and mattress, as well as your entire kitchen full of pots, pans, and tools. Having to repurchase all of that on your own adds up fast. With renters’ insurance, your possessions are protected whether you’re home or not. This provides peace of mind if you’re on vacation or away from home for an extended period of time. Depending on the type of insurance you purchase, your possessions will either be insured up to a specific amount, or you can insure them for the amount it would cost to replace them. Renters’ insurance is absolutely necessary if you have animals. While most people believe their pets would never hurt anybody, accidents and mistakes do happen. Frightened dogs can bite, and startled cats can bite and scratch. Purchasing renters insurance comes with built-in personal liability protection, which will protect you in the event that you or someone in your household (including any pets) accidentally injures somebody on your property. While these matters do often resolve amicably, it becomes difficult if the person’s work or livelihood is affected. Many renters’ insurance policies will also cover defense costs and compensatory damages in the event that a suit is brought against you by someone injured on your property. A typical renters insurance plan comes up to $1 million in coverage for these situations, ValuePenguin estimates. When you don’t own your own home, you find yourself at the mercy of your landlord, who typically thinks of their house first, and their tenants second. Even if this isn’t necessarily the case, houses need maintenance, and if you happen to be living there when this happens, you will have to vacate so the work can be done. Luckily, State Farm’s website reports that most renters’ insurance comes with provisions for additional living expenses in the event of necessary construction on your unit, or if there are damages to your unit from natural forces like floods or fire. This protection will supply the funds for you to pay first and last month’s rent on another unit if you’re forced to move permanently, and will cover interim housing costs while you search for a new home. In addition to paying for any damages and defense costs that arise as a result of someone getting injured on your property, many insurance companies will also cover that person’s medical expenses while they’re healing. The only caveat is that this coverage only extends to guests who are injured on your property – it doesn’t apply to permanent residents of the unit, who’ll need to use their own health insurance if they’re injured on the premises. Having coverage for medical costs for guests may seem unnecessary, but even minor slips and falls can have long-lasting consequences. Renters’ insurance will protect you from all kinds of theft and vandalism, including property inside your vehicle stolen during a break-in. If your car has been robbed or vandalized, auto insurance only covers damage to the vehicle itself; it won’t pay to replace any stolen possessions. Possessions that were temporarily away from your home when they were taken are covered under most rental insurance policies. However, it’s never a good idea to keep valuables in your vehicle – a window is no deterrent to criminals, and discretely hidden bats or crowbars are easy to wield against glass. Now that you know renter’s insurance will cover you in some scenarios outside of a rare house fire or flood, you can see the benefit of getting coverage. To figure out which renter’s insurance is right for you, learn more by searching for a plan that matches your needs. The best way to discover different renters’ insurance plans and rates is to search online. It’s easy to get quick quotes online, and you’re able to compare different insurance company rates all at once. Additionally, you’ll be able to discover the details to ensure the plan you’re considering includes the coverage that’s most important to you. If you’re interested in getting renters’ insurance, start a search today.